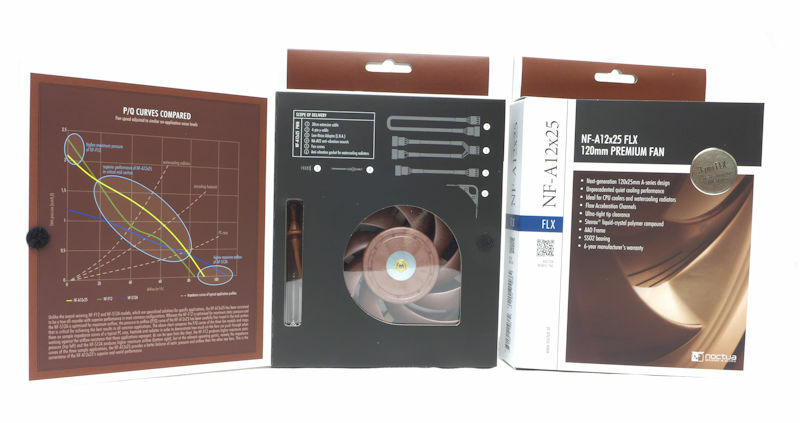 We take a closer look into Noctua’s hero product, the NF-A12x25. The NF-A12x25 uses different build materials to increase its durability and allow for tighter tolerances, specifically towards the distance between the blade and the frame. The design was aimed to help increase static pressure and airflow making this one of the best candidates for mounting to a radiator. Upon opening the A12s, we are presented with the usual Noctua packaging. This includes the fan itself, a 4-ping Y-cable, NA-RC14 low noise adapter, 30cm extension cable, NA-AV2 anti-vibration mounts, bog standard fan screws, and a silicone anti-vibration rope for water cooling radiators. Of course, the fan itself has a 20cm cable and all the cables are covered in a nice black flexible silicone cable shroud with nicely done heat wrap ends. 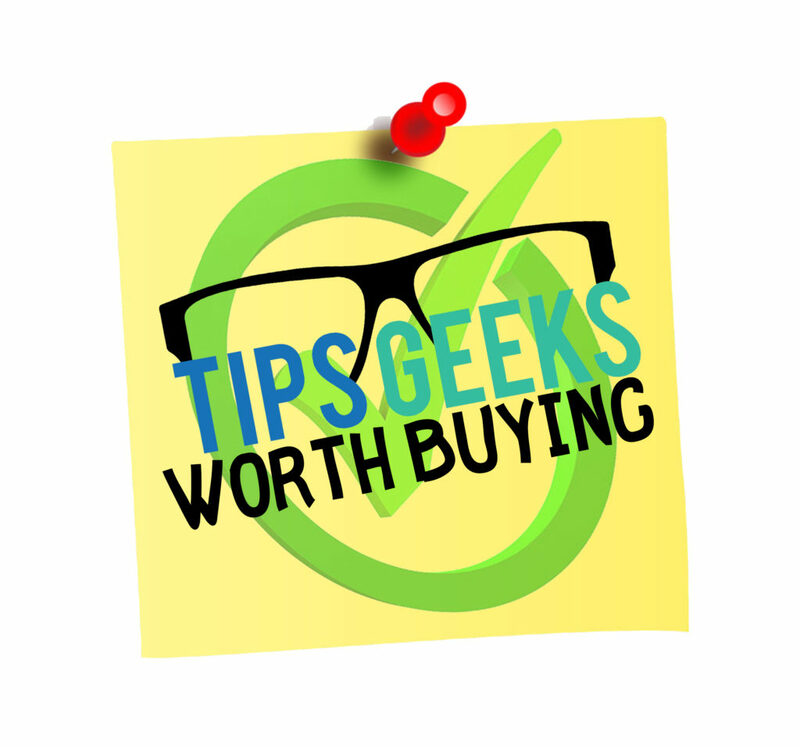 We received 3 different fans, mainly with the same build quality, just different specs, and RPM. Diving deeper into the aesthetics, we can see the 0.5mm clearance between the fan and the shroud. You can also see the texture of Noctua’s new Sterrox Liquid-Crystal Polymer compound. It looks glossier than their standard fiberglass reinforced PBT with a directional texture. This should give it the extra tensile strength needed to prevent impeller creep in the tight clearances. Before anything, I’d like to clear out that the fan is rated 450 (+/- 20%) to 2000 (+/- 10%) RPM. The ones that were provided to us indeed turned off at lower duty cycles as Noctua intended, provided you have a complying PWM controller. The fans resumed at 18% PWM and moved consistently. 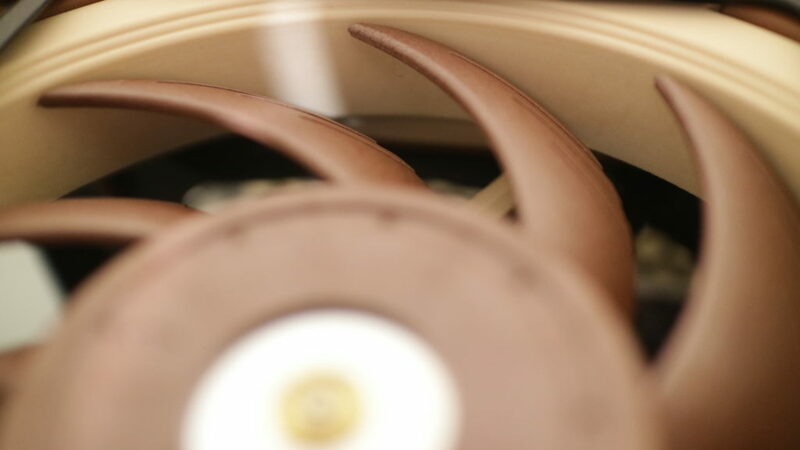 The Noctua NF-A12x25 being able to stop spinning completely means you can have a system as quiet as ambient if there is no other source of noise. We used Decibel X which is a free app on Android to measure the sound levels and luckily enough, we were able to measure 24dBA at 750RPM and 30dBA at 1000RPM (Silent Mode). During performance mode, we got 34dBA at 1250RPM, and 36.4 at 1500RPM. Setting either fan setup to 100% speed does increase the cooling power, but the silent fan profiles seem to cool the system adequately with max temps in the 50–55°C range for CPU and GPU. 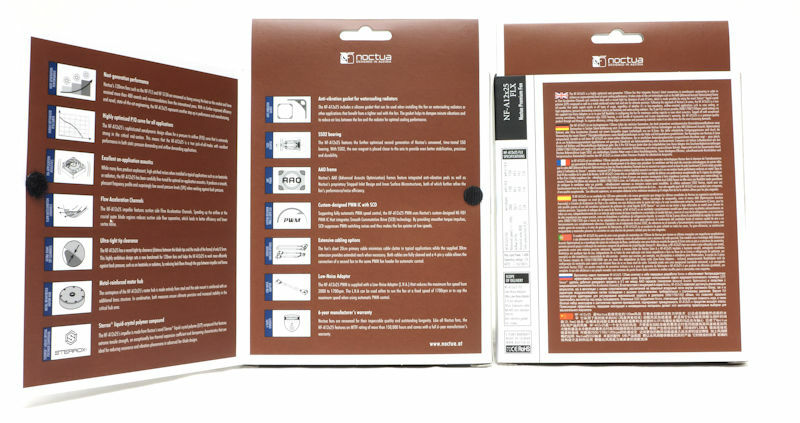 Noctua did take their time to come up with this and we believe it is totally worth it. Noctua has outdone themselves with their NF-A12s. We are satisfied to see a product that has had performance and noise as metrics for R&D over RGB lighting. These are by far some really quiet fans. The temperature and noise measurements for the NF-A12x25 show that in this setup it has an edge over other fans in the market. 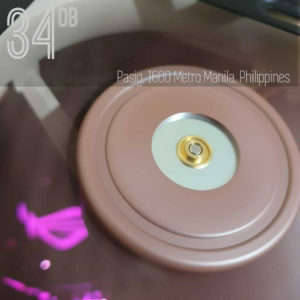 It costs about double the usual fans you see in the market, which is a price you pay for the materials used, but it definitely is a worthy purchase at PHP 1520.